Braintheft Night + Afterparty // Sarah Farina uvm. __Braintheft___ ist ein Irisch-Französisches live Trio aus Berlin. Back on the road for their 10th Anniversary, Berlin best kept Electro-Dub secret is ready to steal your brain again. Deeply rooted into Dub, the dark and gritty live outfit features live drums, deep electric bass and a whole lot of synthesizers. Layer that with faster and heavier styles as Dubstep or Drum & Bass, and the result bends new corners while acknowledging its roots. 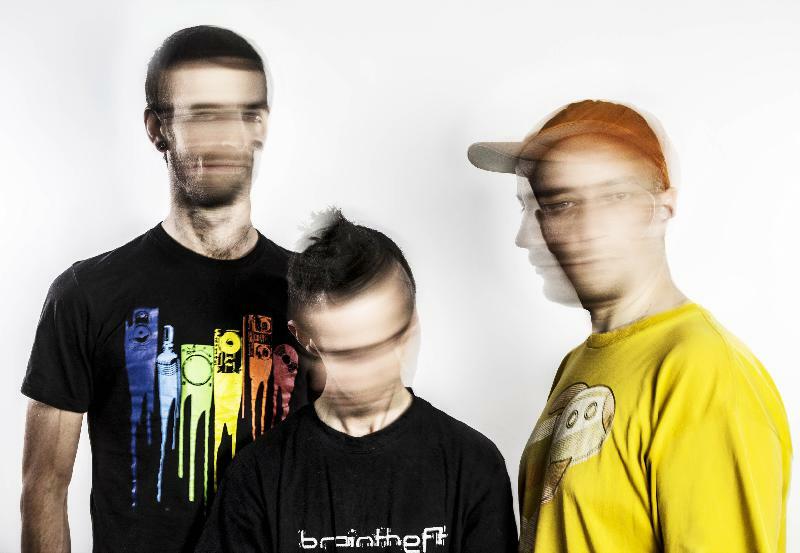 The Power trio is constantly blurring the lines between genres to achieve a unique Psychedelic Urban Dub Sound. The newer Trio formation gave birth to two EPs: Pressure Drop and Underground Acoustics. The “Heavy Omen” EP was released in 2016 on the french label ODGprod. It is the first Braintheft release to feature Vocals with guest appearences of Dana Shanti (D), K-the-i??? (USA), David Scribbles (SZ) and Forest Mind ( FR). Not many bands are invited yearly to play live at Fusion Festival, yet there is something about the Trio that brings them every year into the rocket! Join us for a musical Journey through the night!